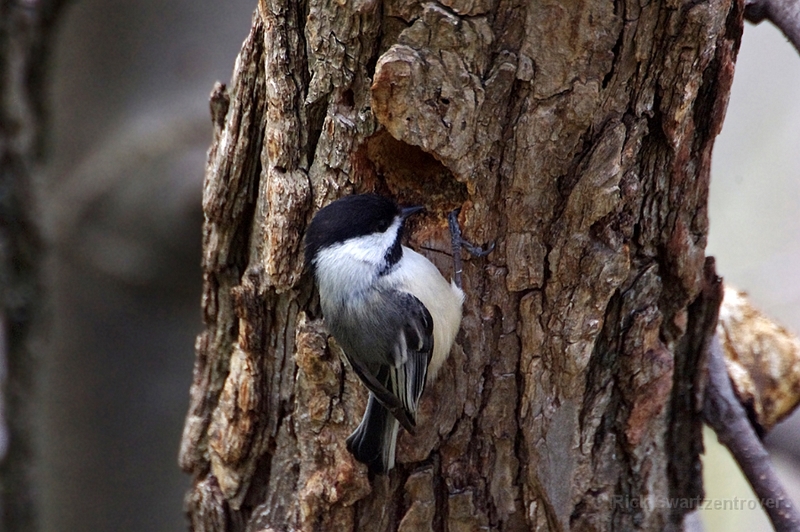 A bird almost universally considered "cute" thanks to its oversized round head, tiny body, and curiosity about everything, including humans. 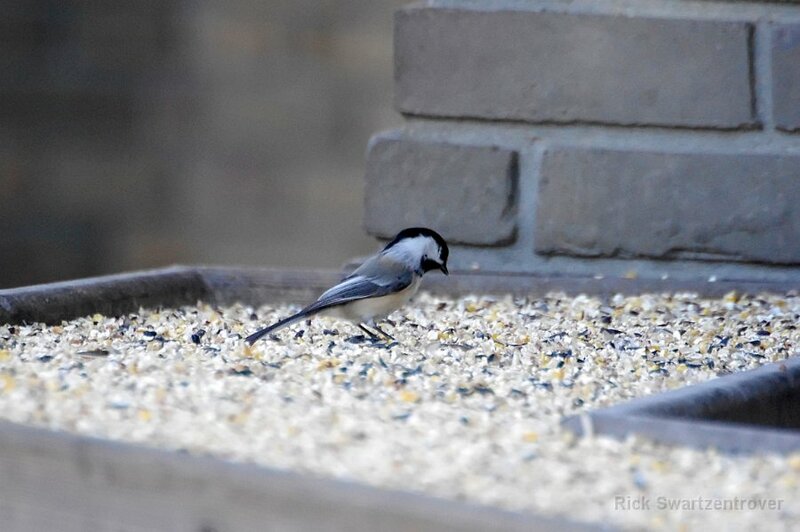 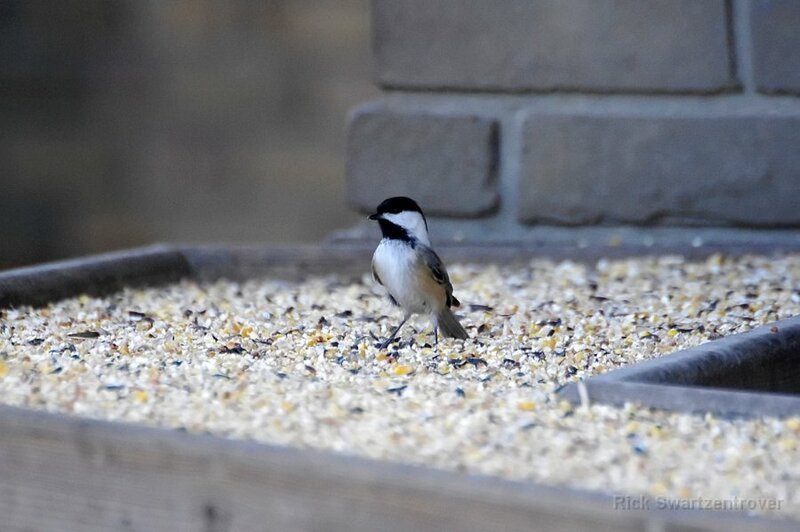 The chickadee's black cap and bib; white cheeks; gray back, wings, and tail; and whitish underside with buffy sides are distinctive. 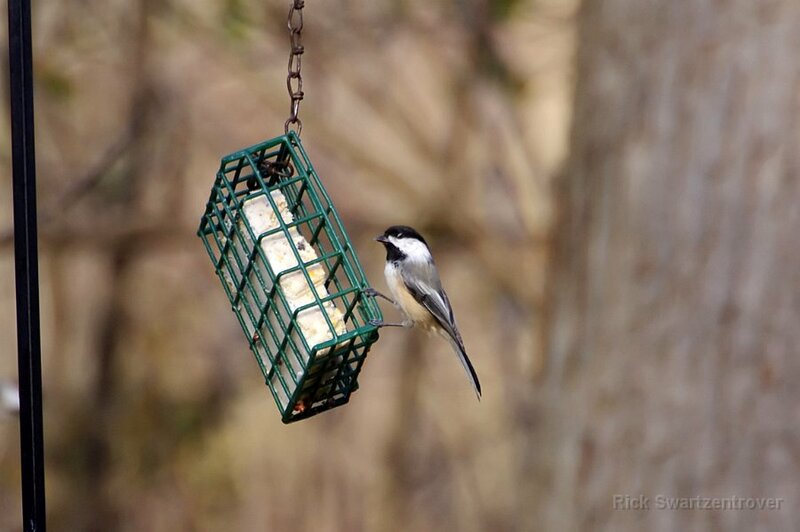 Its habit of investigating people and everything else in its home territory, and quickness to discover bird feeders, make it one of the first birds most people learn. 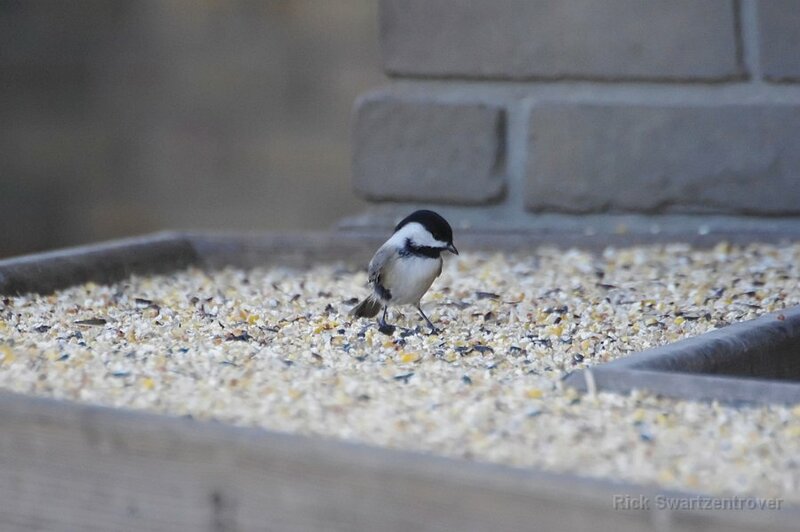 Most birds that associate with chickadee flocks respond to chickadee alarm calls, even when their own species doesn't have a similar alarm call. 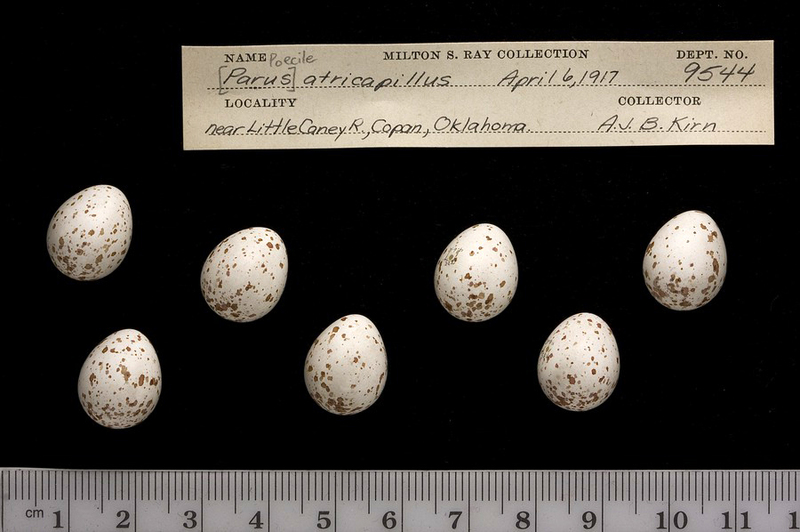 There is a dominance hierarchy within flocks. 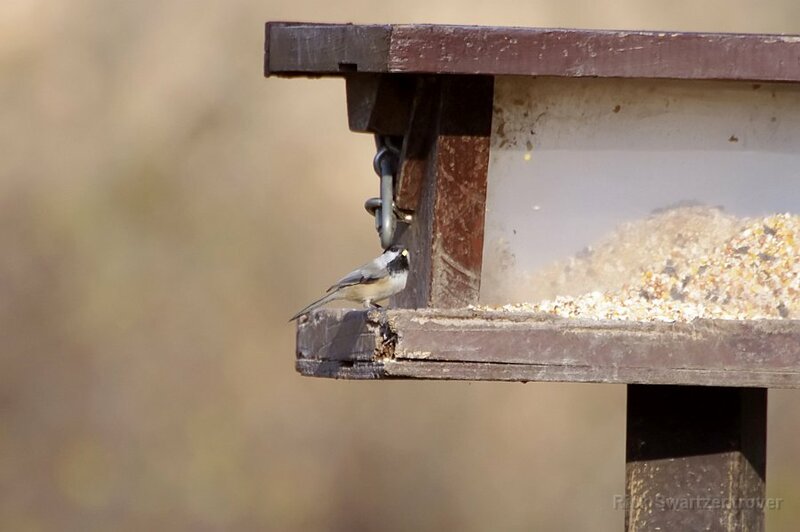 Some birds are "winter floaters" that don't belong to a single flock - these individuals may have a different rank within each flock they spend time in. 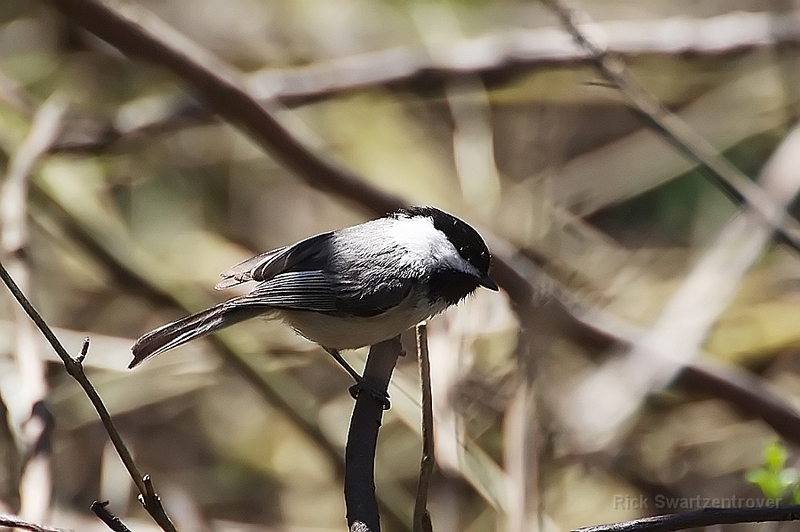 This tiny bird has a short neck and large head, giving it a distinctive, rather spherical body shape. 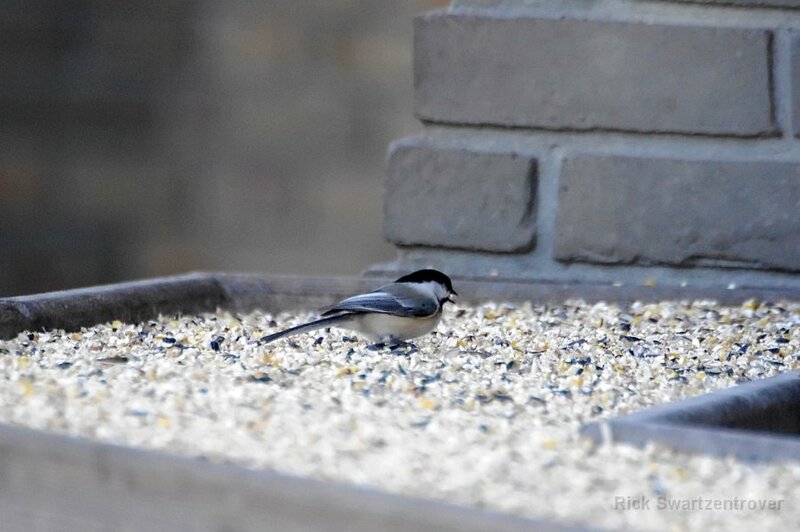 It also has a long, narrow tail and a short bill a bit thicker than a warbler's but thinner than a finch's. 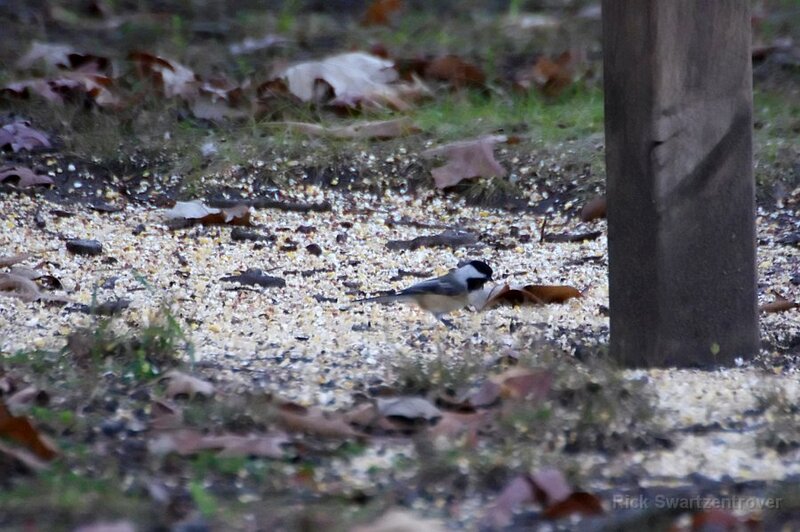 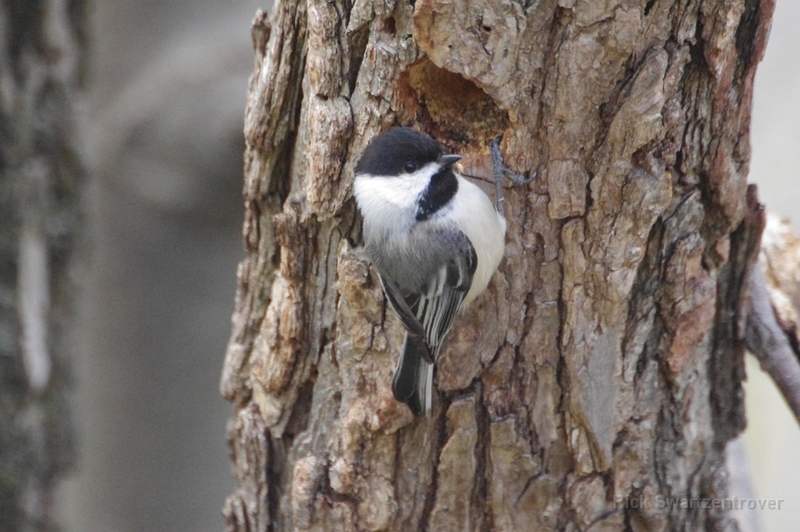 Carolina Chickadees are the most similar to Black-capped Chickadees, but their ranges overlap in only a narrow zone across the north-central United States. 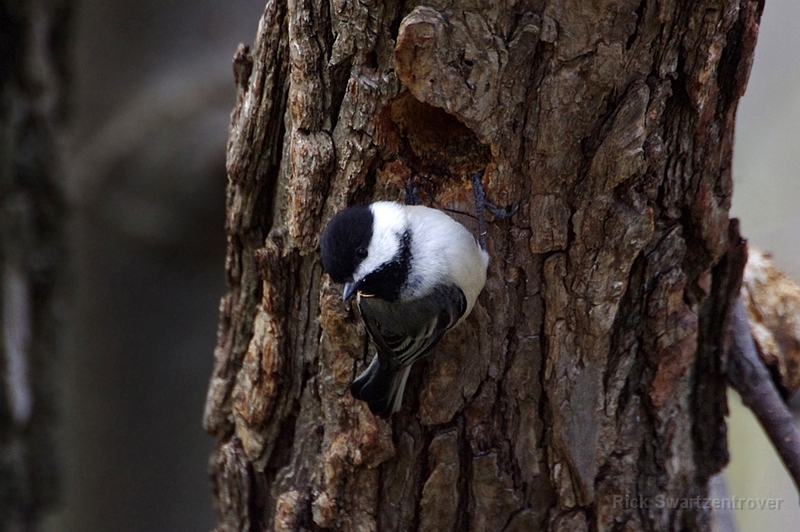 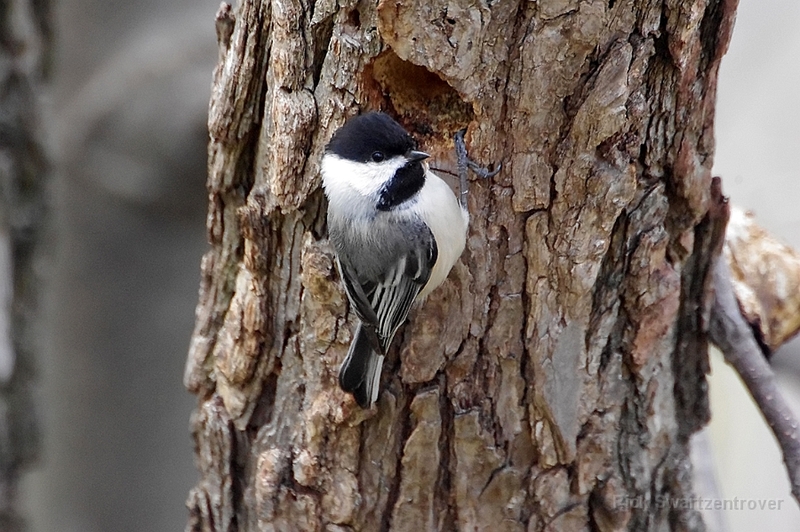 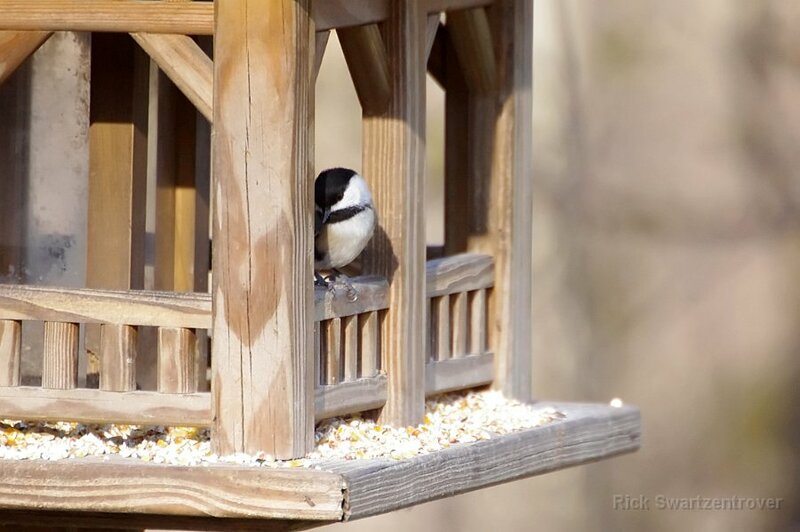 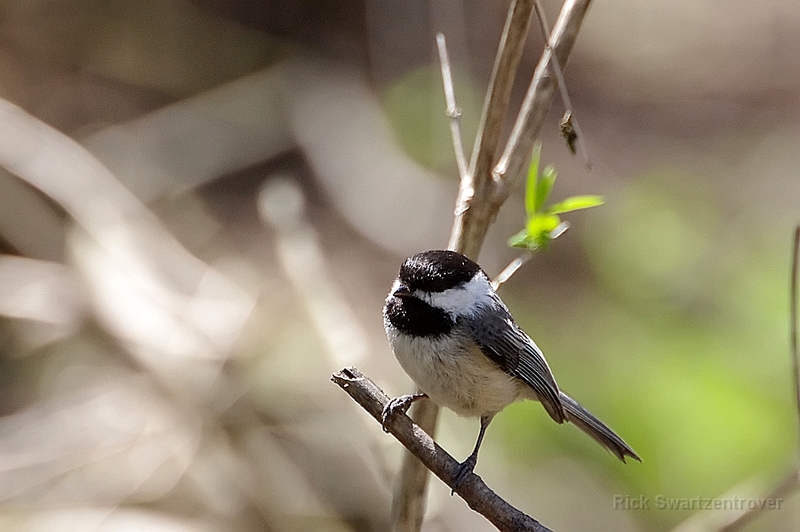 They have less white wing-feather edging and longer songs than Black-capped Chickadees. 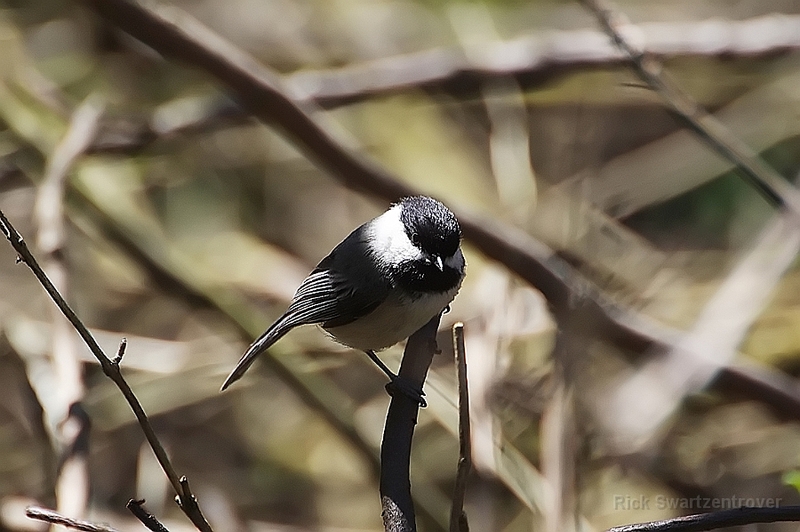 Mountain Chickadees may be seen with Black-capped Chickadees in the West, but they have a sharp white stripe over the eye. 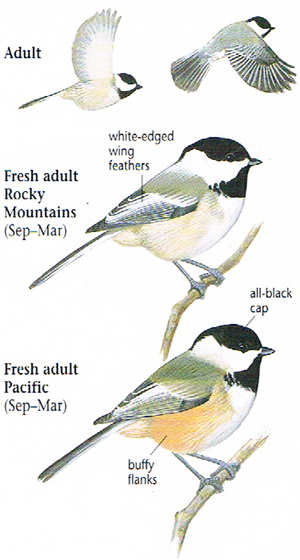 Boreal Chickadees have a brown cap and back, and Chestnut-backed Chickadees have a rich brown back. 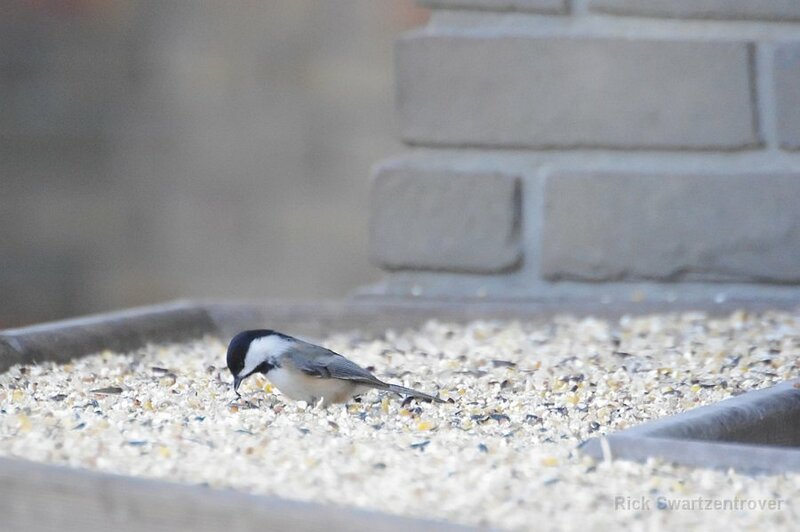 White-breasted Nuthatch has a thicker shape, a shorter tail and longer beak, and a white throat. 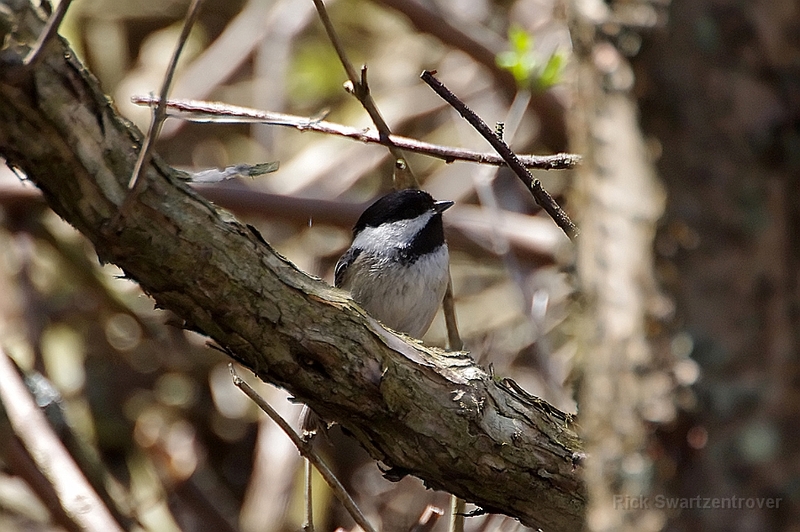 Spring male Blackpoll Warblers have the black cap and bib and white cheeks, but their back and sides are conspicuously streaked and their legs are yellow. 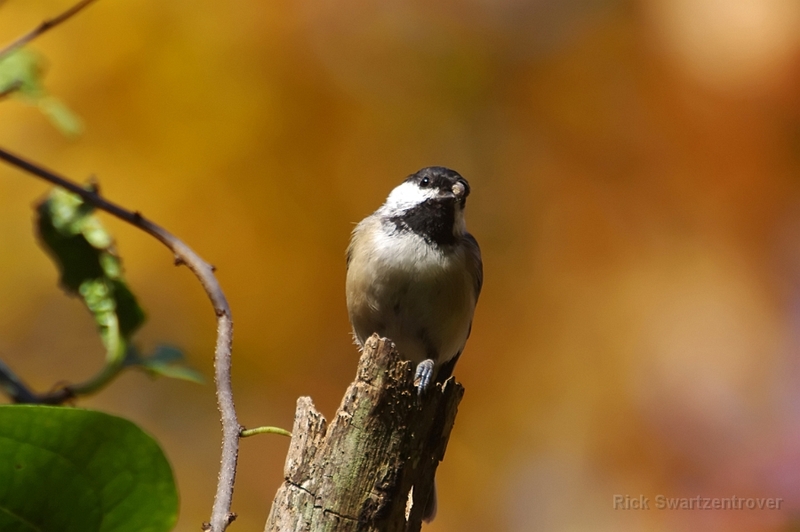 In most of North America, the song is a simple, pure 2 or 3-note whistled fee-bee or hey, sweetie. 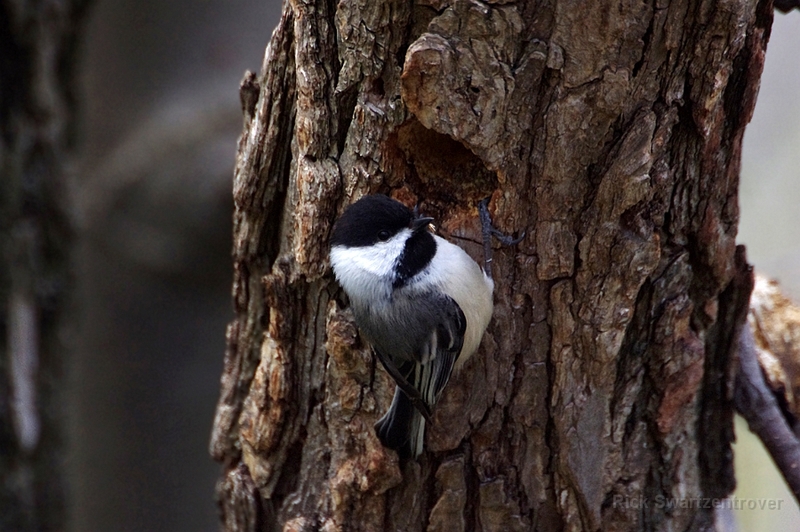 In the Pacific Northwest, the song is 3 or 4 notes on the same pitch; the song is also different on Martha's Vineyard in MA. 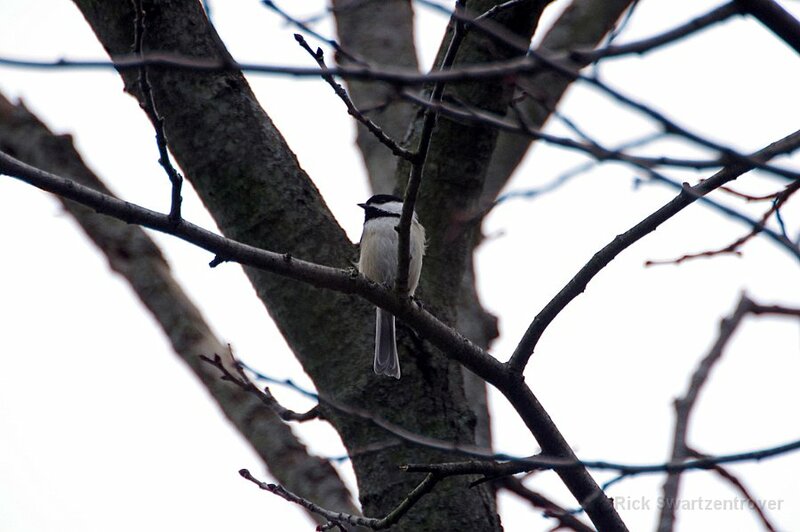 In much of the range, males begin singing in mid-January, and the song increases in frequency as winter progresses. 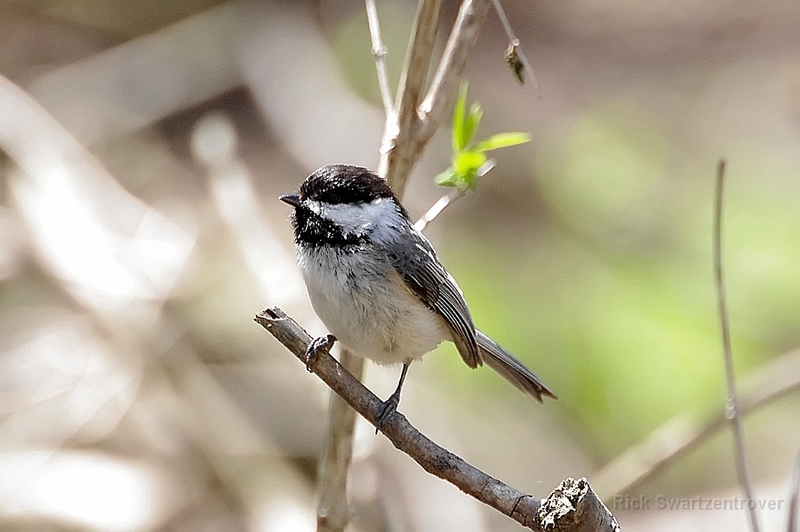 Females also sing occasionally.